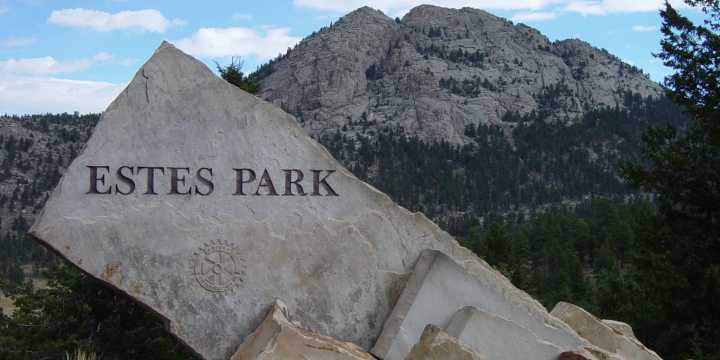 ESTES PARK - Combine a mountain village with holiday spirit, Santa Claus, carolers, hayrides and an evening parade where all the floats are decked out for the season and you&apos;ll find the largest holiday celebration kick-off in Northern Colorado. It all happens on Friday, Nov. 25 in Estes Park and there&apos;s no fee for any of the activities. This is a time when the community&apos;s long tradition of treasuring family outings is particularly magnified. It&apos;s a time when people are invited to "Come Catch the Glow" of the season. Activities on Nov. 25 begin at noon with holiday music broadcast outdoors throughout the town, carolers, people interacting with strolling animal characters, and visits with Santa. The day&apos;s big event, the annual Catch the Glow Parade, begins at 5:30 p.m. By that time, Elkhorn Avenue, the main street through downtown Estes Park, is lined with people waiting for the parade of lighted floats to pass. Estes Park has been home to a holiday parade for more than 20 years. The parade is a moving extension of the holiday décor for which Estes Park is known: 135 streetlights are dressed with lighted multi-colored LED Christmas tree shapes and 190 live trees throughout town sparkle with tiny white lights. In addition, the town displays seven larger-than-life murals depicting everything from old-time nursery rhymes such as "The Old Woman in the Shoe" to spiritually-based parables. It&apos;s just the beginning of special holiday events in this mountain village. Saturday, Nov. 26 at 9 a.m. is the annual Holiday House Christmas Bazaar at the Estes Park Conference Center, 101 S. St. Vrain Ave. Hundreds of hand-crafted holiday items, a raffle, recycled treasures, holiday treats, music and more, are all available for a $1 donation at the door. Saturday, Dec. 3 is the annual Quota Club Holiday Home Tour. The event features five of Estes Park&apos;s most unique homes decked out in holiday finery. Tickets and tour maps are available at the Estes Park Visitors Center, 500 Big Thompson Ave.
Other holiday activities scheduled in Estes Park include concerts, special art and gallery shows. For complete information about activities and events in Estes Park during the holiday season, contact the Estes Park Convention & Visitors Bureau at 800-44-ESTES (800-443-7837) or 970-577-9900, or check out the official Estes Park visitor information website at www.VisitEstesPark.com.